Official website of author Amy Sparling: Introducing Amy's Street Team! As we move into the new year, I'm branching out my marketing efforts (or in other words--I'm starting some marketing efforts! lol) and I'm creating a Street Team! 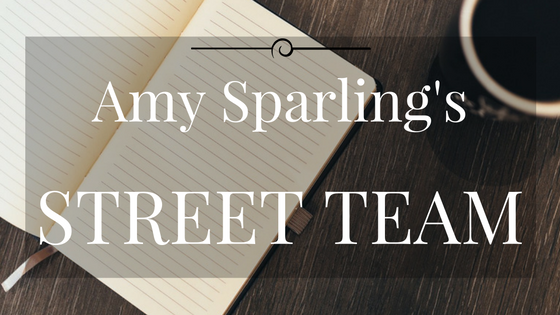 Being a member of my street team means you're a dedicated reader and want to help me spread the word about my books. 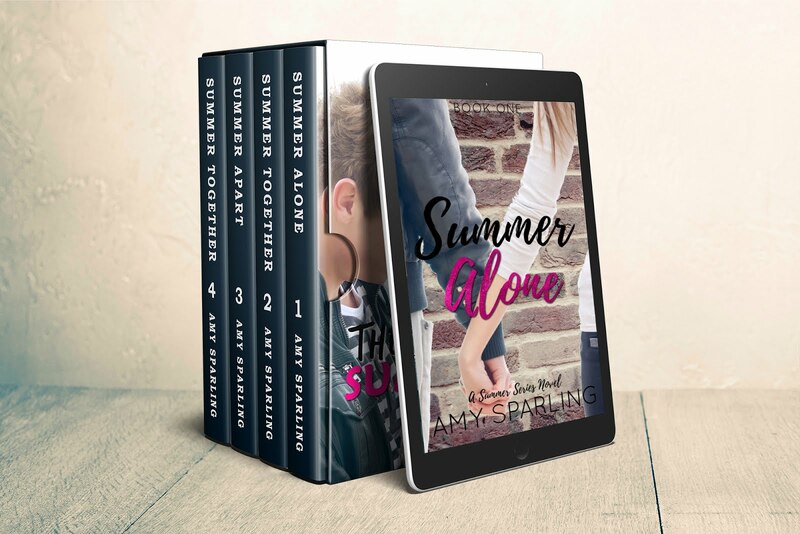 My street team will get exclusive info and giveaways that no one else gets, and--the most important part--you'll get a free eBook copy of EVERY new book I release! All you have to do in return is review the books on Amazon as soon as you're able to. Although nothing is mandatory and being a member of the team is totally voluntary, the purpose of joining up is to help spread the word about new books by posting book reviews, posting links and photos of the books to your social media, websites, blogs, etc. I can even send bookmarks and stickers if you are able to pass them out in real life. Anything goes! The main goal of my street team will be to spread awareness of my books and make sure they reach as many readers as possible. My plan is to email the Street Team once a month with my new book and pictures, teaser quotes, and any other stuff I can think of that you can choose to post online, Tweet, Instagram, etc, as often or as little as you'd like. Subscribers will be capped at 25 members at a time, so sign up soon if you don't want to miss out!